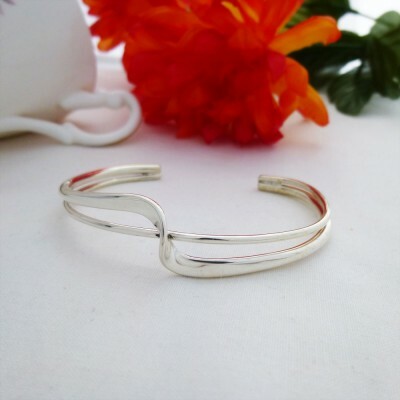 This is a fabulous solid silver crossover torque bangle that is funky and fun. 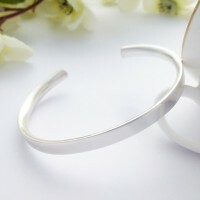 It is a charming silver torque bangle that has a stylish twist to the classically designed torque bangle. A perfect Christmas gift or birthday present. 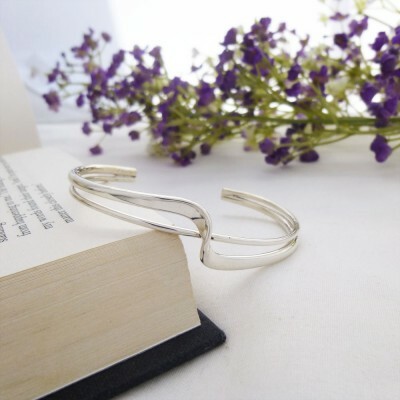 This fabulous Crossover Torque Bangle is made out of solid 925 sterling silver and is based on a classical torque bangle style but has a contemporary twist! The Crossover Silver Torque Bangle is a silver bangle perfect for day and evening wear. The Crossover Silver Torque Bangle is an open bangle that fits most women’s wrists beautifully as you can adjust the fit so it sits perfectly and securely. 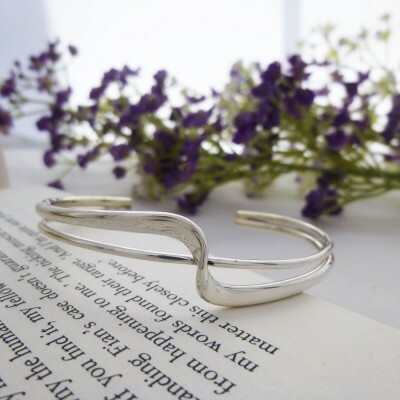 This torque bangle makes a lovely Valentine's present or gift for a special someone and they will adore it forever. This fabulous and unique Crossover Silver Torque Bangle is highly polished and it is hallmarked. 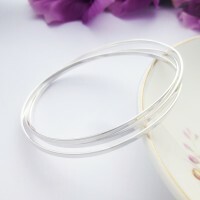 A gorgeous sterling 925 silver bangle that comes in its own lovely ‘Guilty Bangles’ gift box.